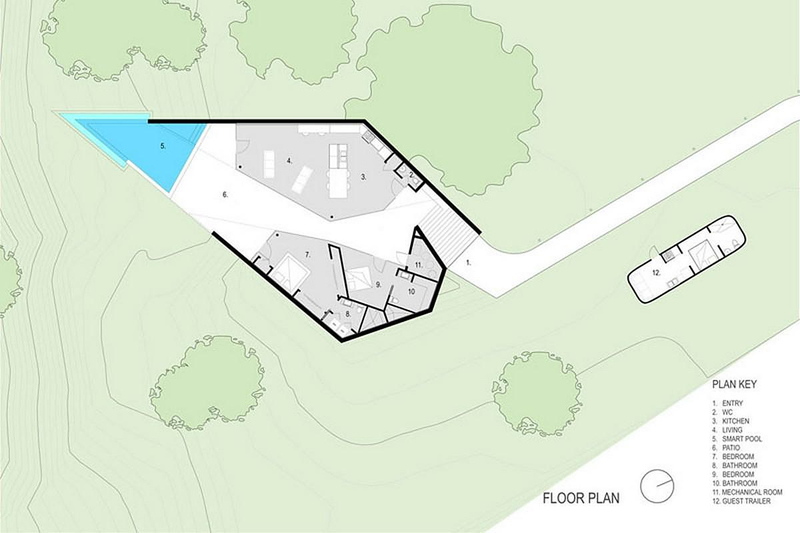 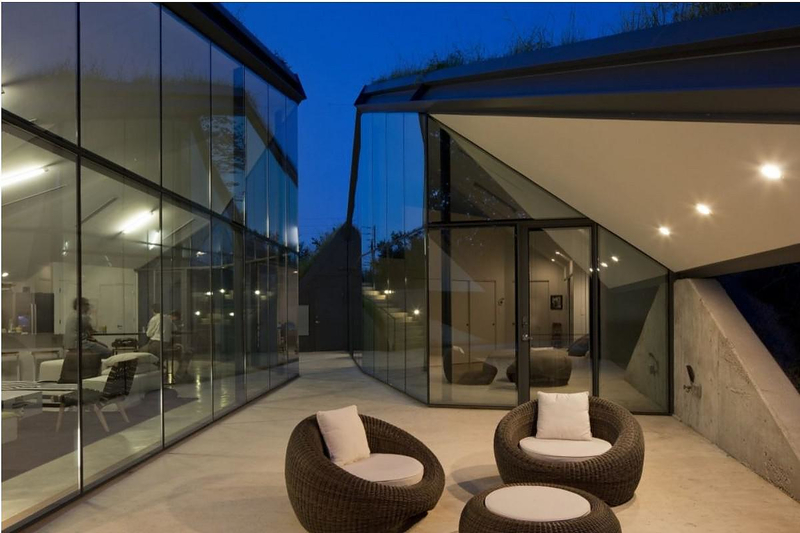 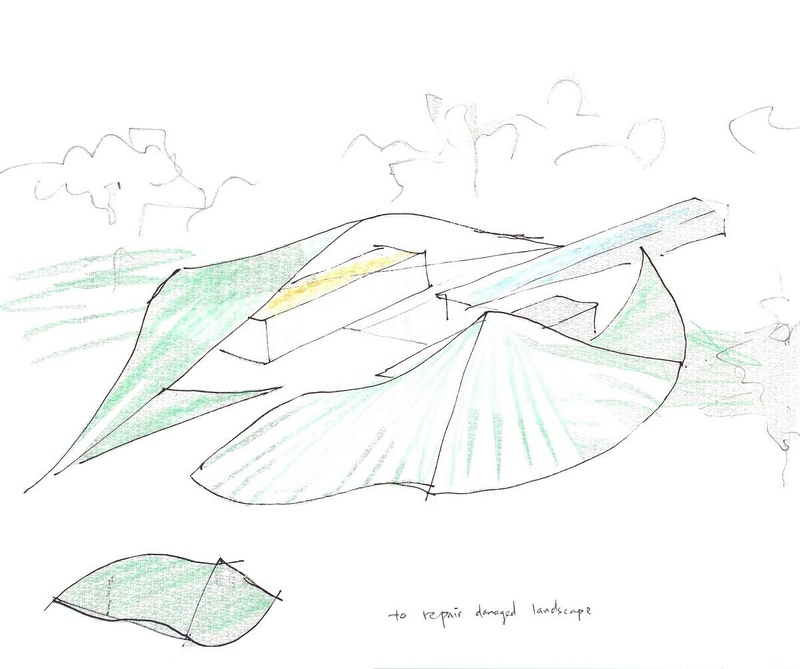 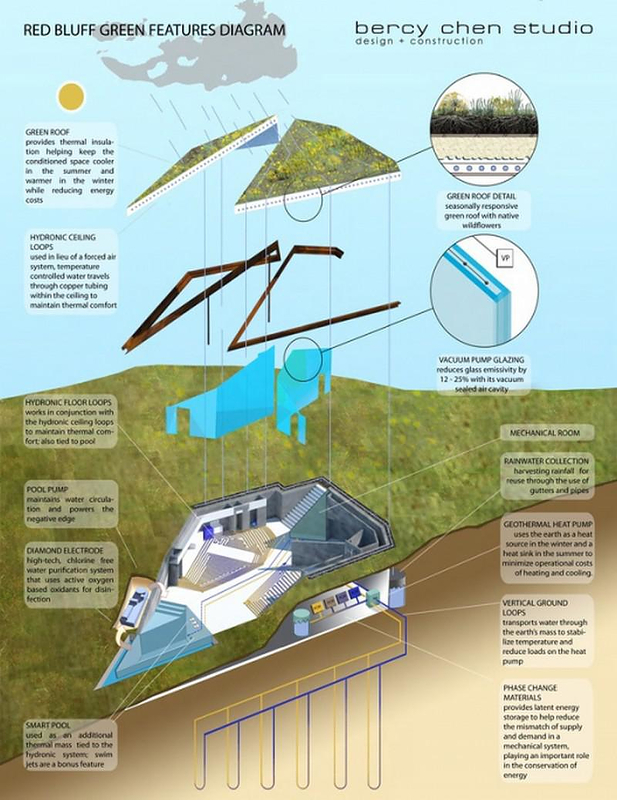 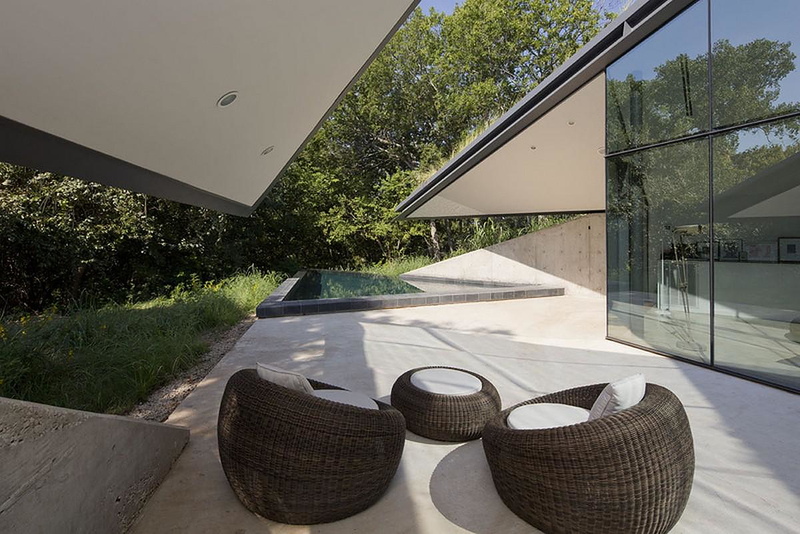 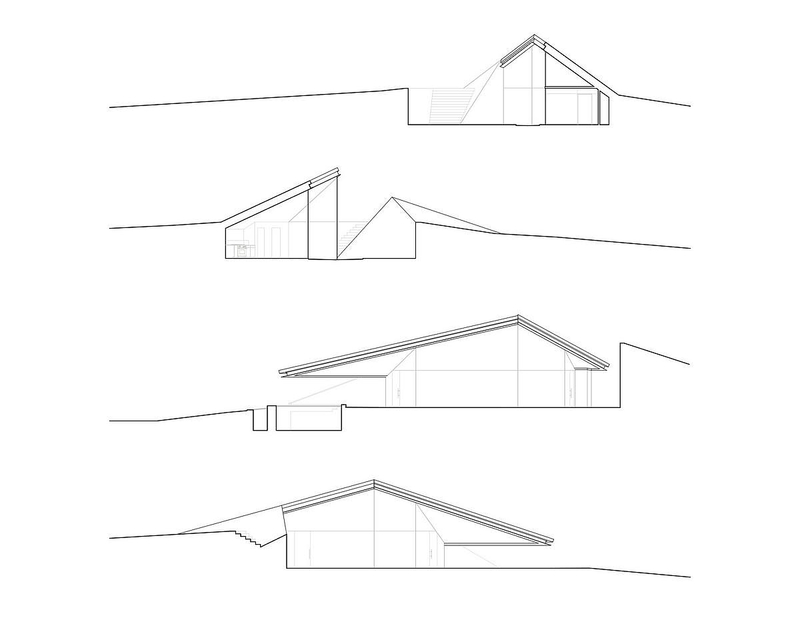 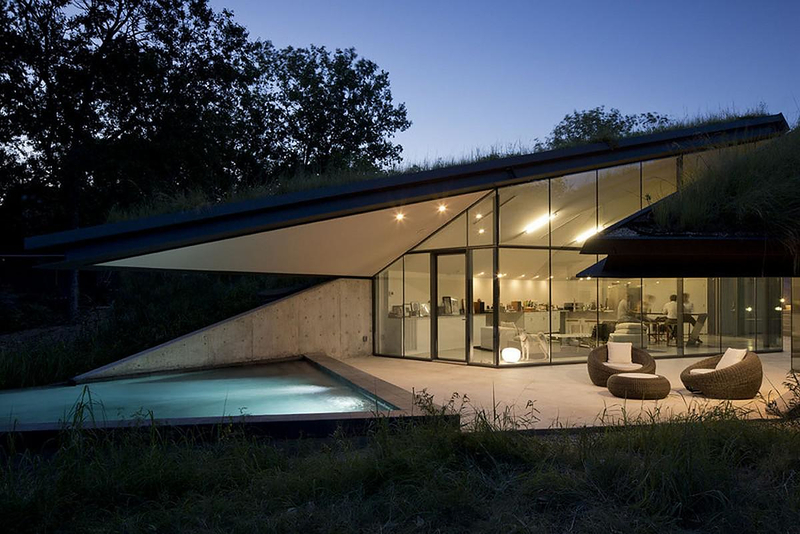 HomeBlogArchitectureFolding the Edge: Edgeland House by Bercy Chen Studio. 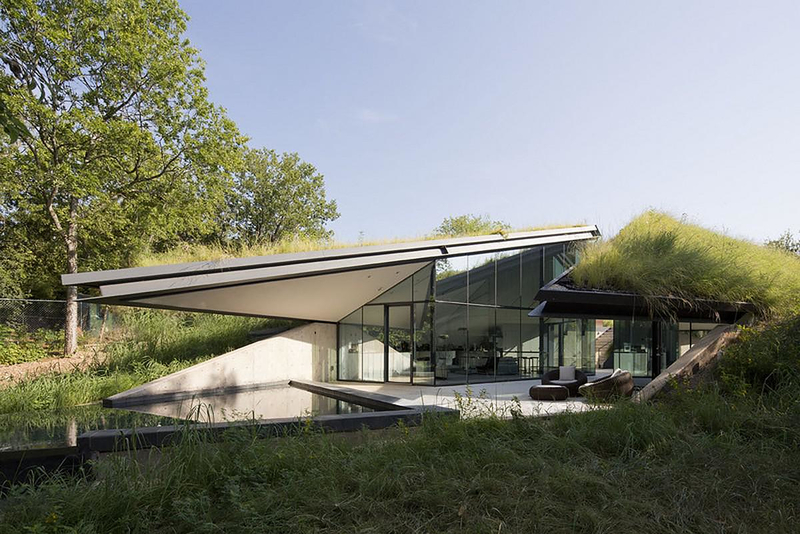 It is rather difficult to believe that the Edgeland House by Bercy Chen Studio is located on a rehabilitated brownfield site. 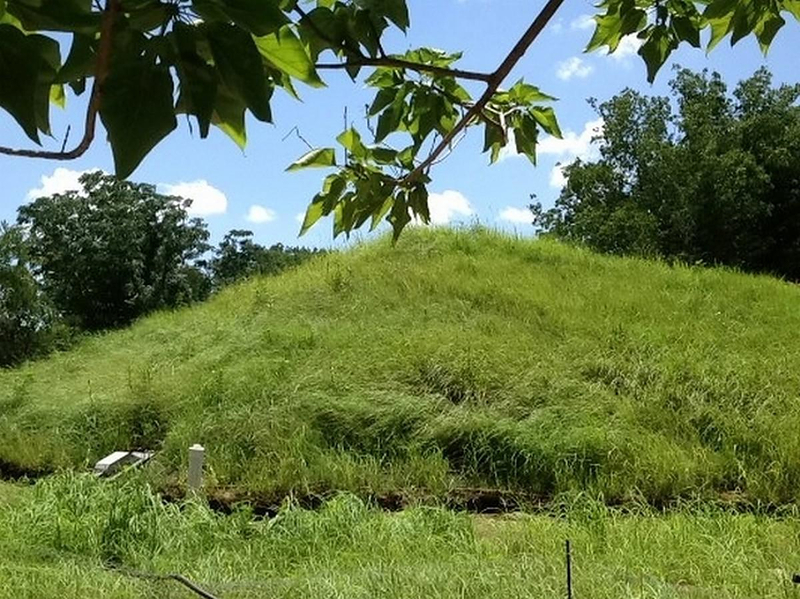 Flooded by greenery and wildflowers growing it has become one with the landscape. 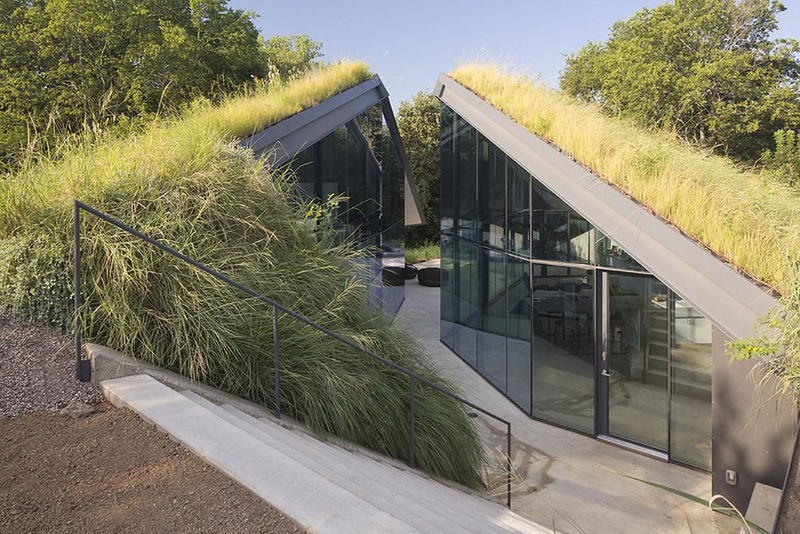 Basically, the Edgeland House is a modern re‐interpretation of one of the oldest housing typologies in North America, the Native American Pit House. 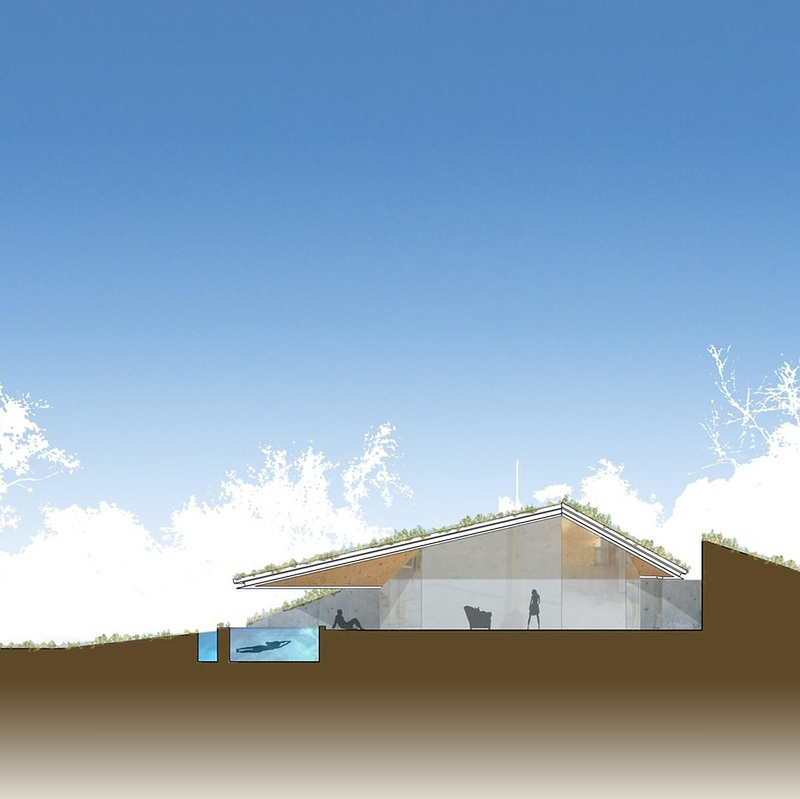 The Pit House, typically sunken, takes advantage of the earth’s mass to maintain thermal comfort throughout the year. 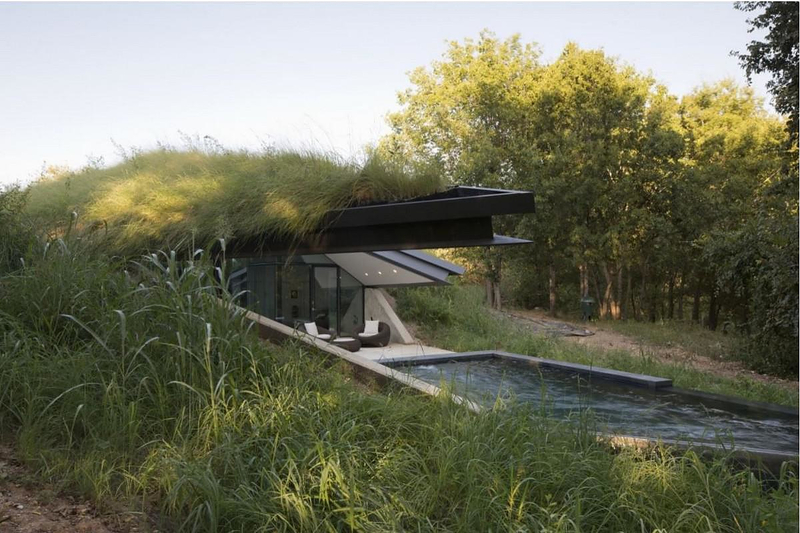 Like this timeless dwelling, Edgeland House’s relationship to the landscape both in terms of approach as well as building performance involves an insulative green roof and a 7‐foot excavation‐ gaining benefits from the earth’s mass to help it stay cooler in the summer and warmer in the winter. 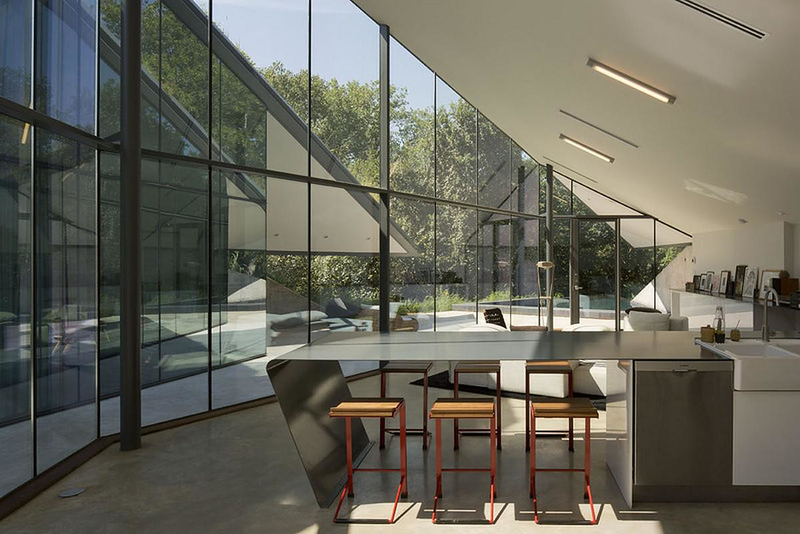 This architectural setting presents an opportunity for maximum energy efficiency when combined with high performance systems such as the integrated hydronic HVAC system. 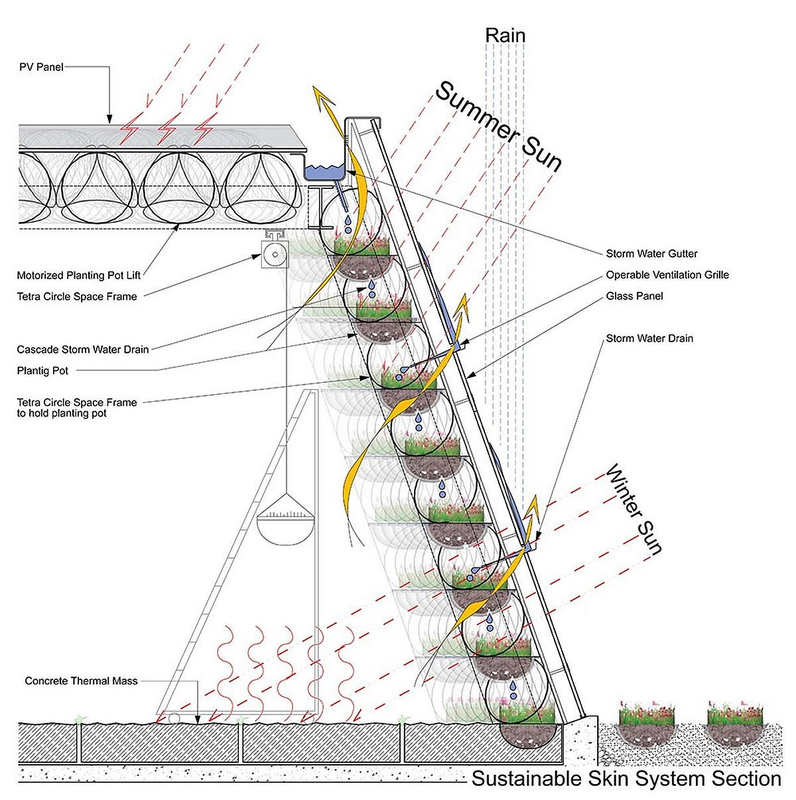 The mechanical system combines: hydronic heating and a green roof for maximum energy efficiency. 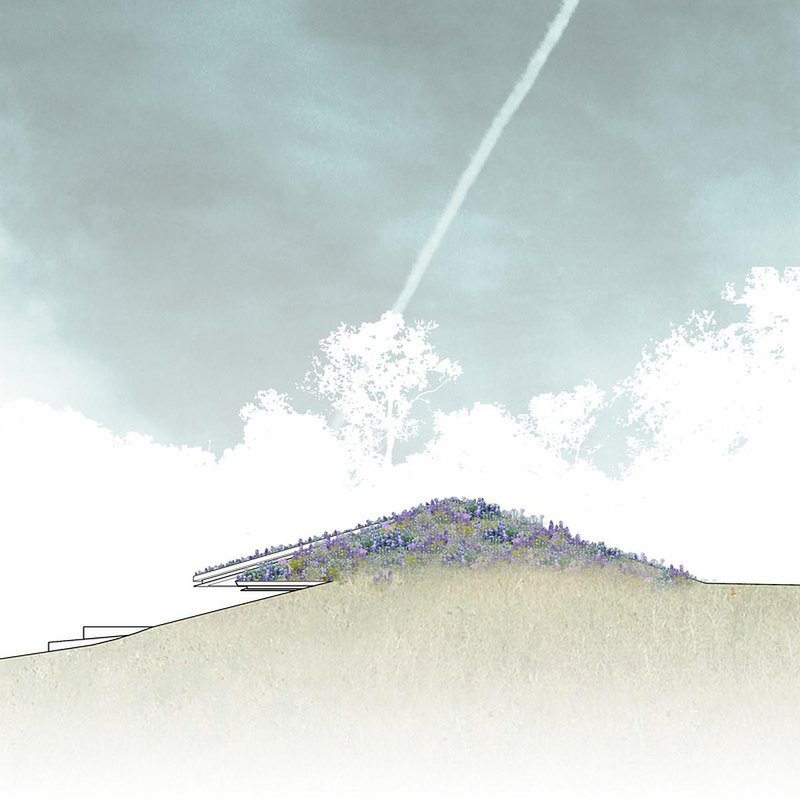 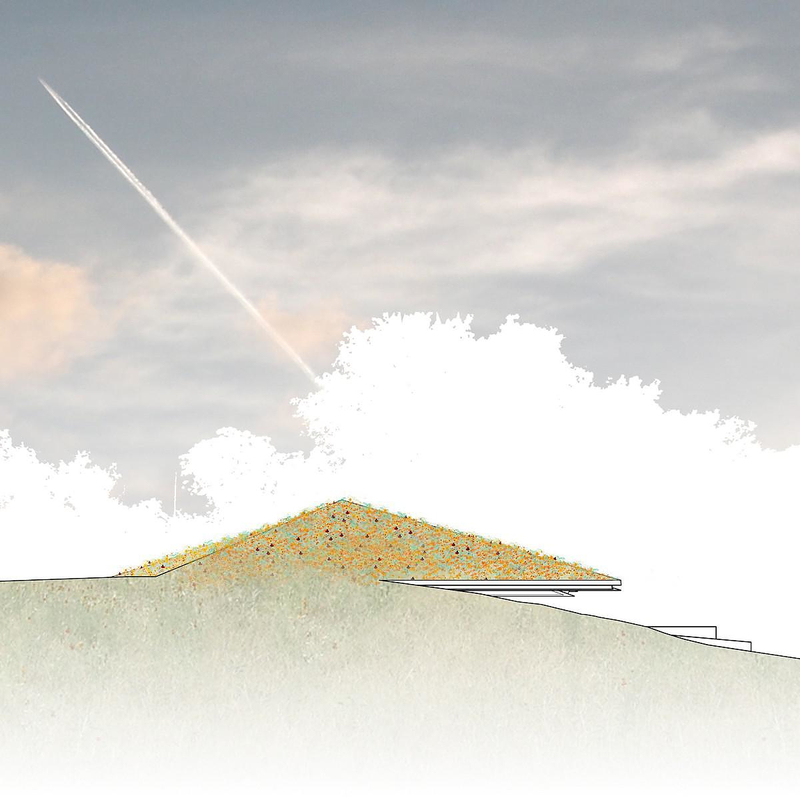 The green roof adds a big plus to the site’s eco-circle: it has over 40 native species of plants and wildflowers which are basically re-introduced to the site. 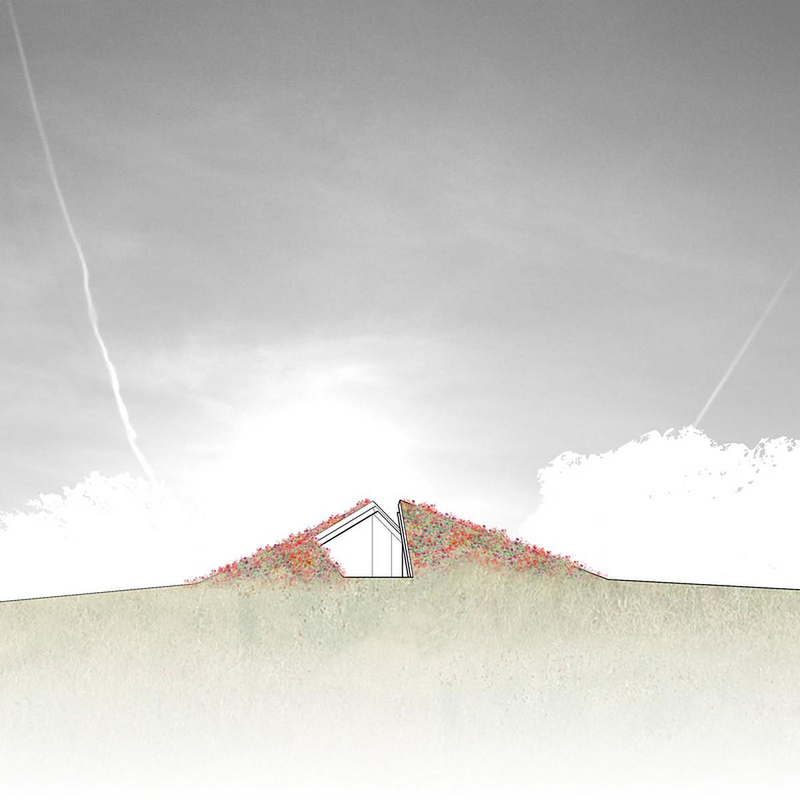 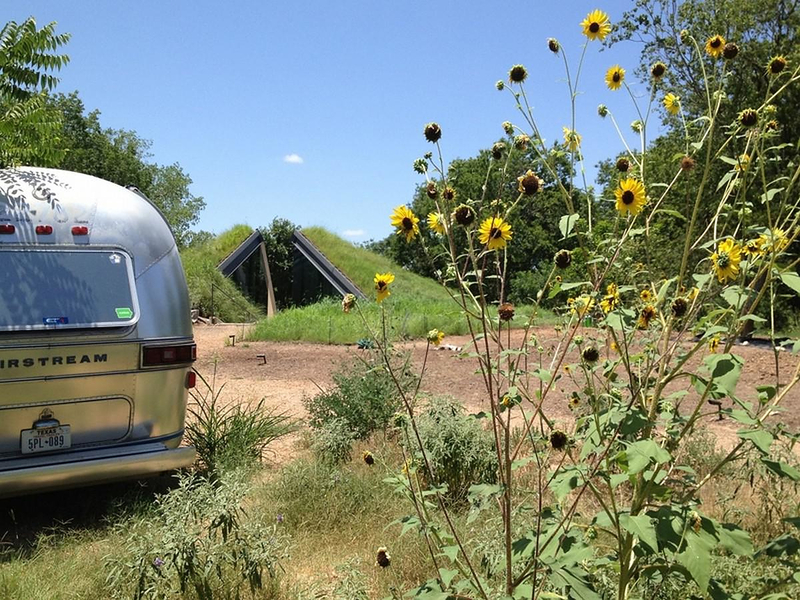 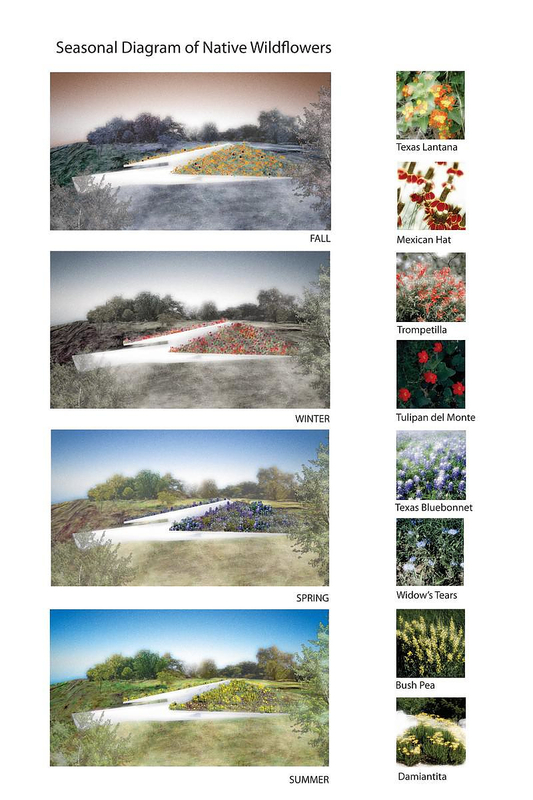 For this cause the Bercy Chen Studio collaborated with the Lady Bird Johnson Wildflower Center. 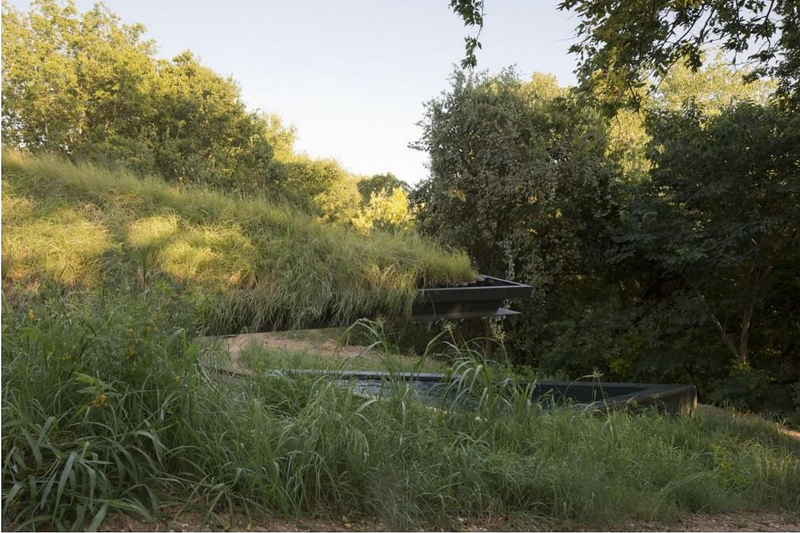 Both visually and functionally, Edgeland House touches on architecture as site‐specific installation art and as an extension of the landscape. 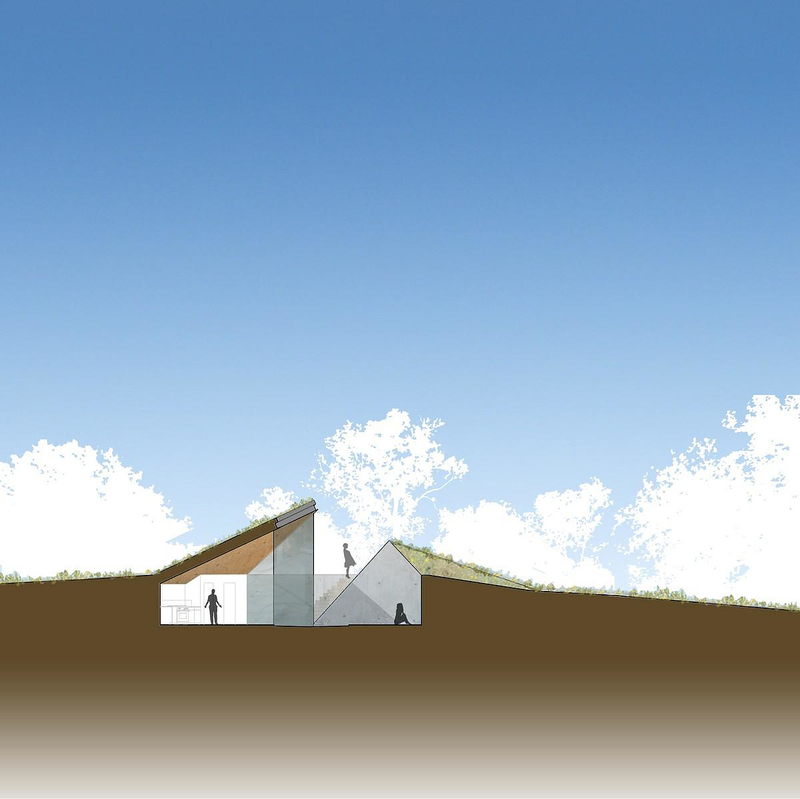 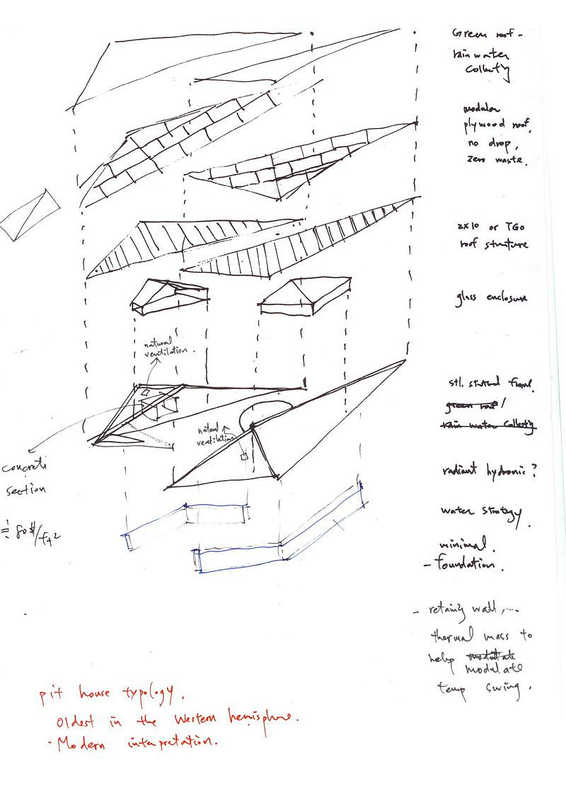 The program is broken up into two separate pavilions, for the living and sleeping quarters, and requires direct contact with the outside elements to pass from one to the other. 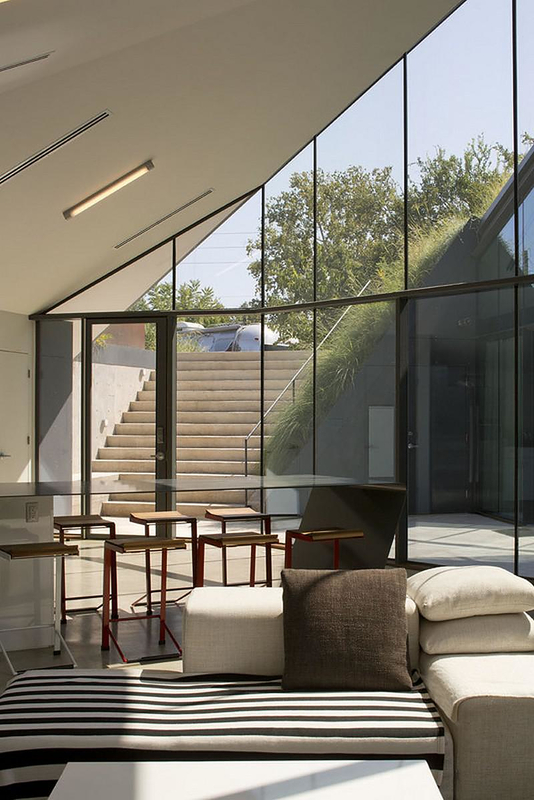 This project sets new standards for sustainability while providing great aesthetic qualities through its small footprint and integrated mechanical features. 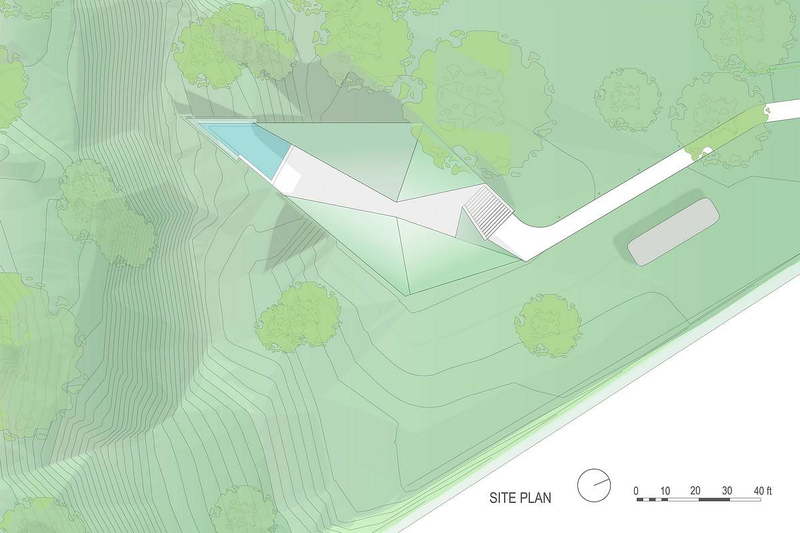 We can claim that it is art in-situ, place specific, as well as functional and elegant sculpture sunken in the landscape like a folding of the surface.